to Make the Hardest Parts. For manufacturers of hard metal parts, additive manufacturing with Digital Alloys’ radically simple Joule Printing™ delivers the highest speed and lowest cost. We are led by an experienced management team, and backed by Boeing, Lincoln Electric, Khosla Ventures, and G20 Ventures. 5 kg/hr, and uses wire rather than expensive powders. The large boost in productivity and reduction in raw material costs yield costs-per-part that are 25-50% lower than conventional manufacturing in many applications. Joule Printing™ uses low-cost wire, and works with any metal (or multiple metals). This yields a wide selection of materials, and eliminates the hazards and costs of working with powder. Joule Printing™ melts wire into fully dense, strong parts in a single step. No part over-sizing. No binder removal. No sintering. No HIP’ing. 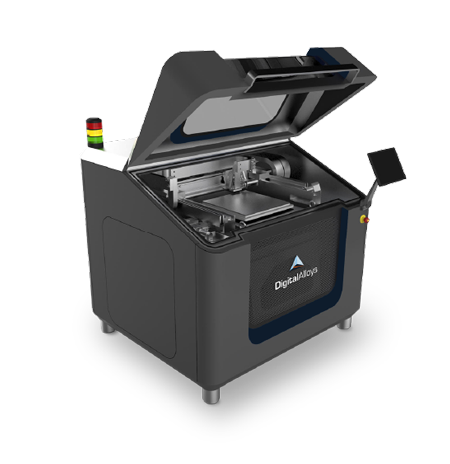 Closed-loop control of the melt pool provides precise, repeatable printing. Granular process data is used for non-destructive QA. 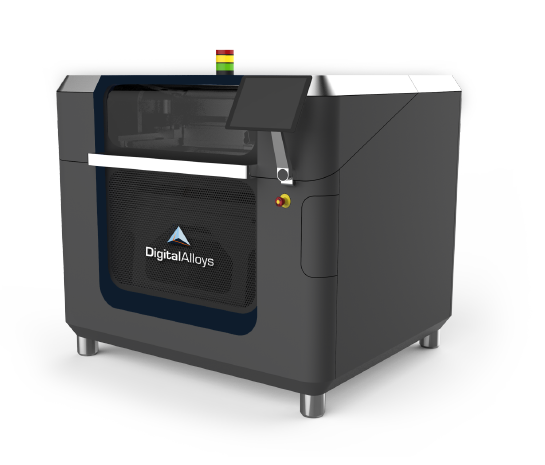 Digital Alloys is growing. We are looking for self-starting team players who enjoy a dynamic startup environment, and who want to help build and sell products that change industries. If you’re interested in getting in on the ground floor of a big opportunity, visit our Careers page.